Phil Morris - Daily Photography from Saskatoon, Toronto, Canada. Phil Morris (Saskatoon, Toronto, NYC, Canada) on 31 October 2018 in Art & Design and Portfolio. painful thing about getting old for me is shaving, I should shave more often I think. Good work Phil (or X-Man.....) ! From this PoV, you should call yourself Flexman with that wide-legged stretch! I hear you about shaving. For me, I always realize (too late) how many whiskers I missed. Happy Halloween! @Steven: Thanks Steven, never looked at it that way !~ Happy Halloween ! 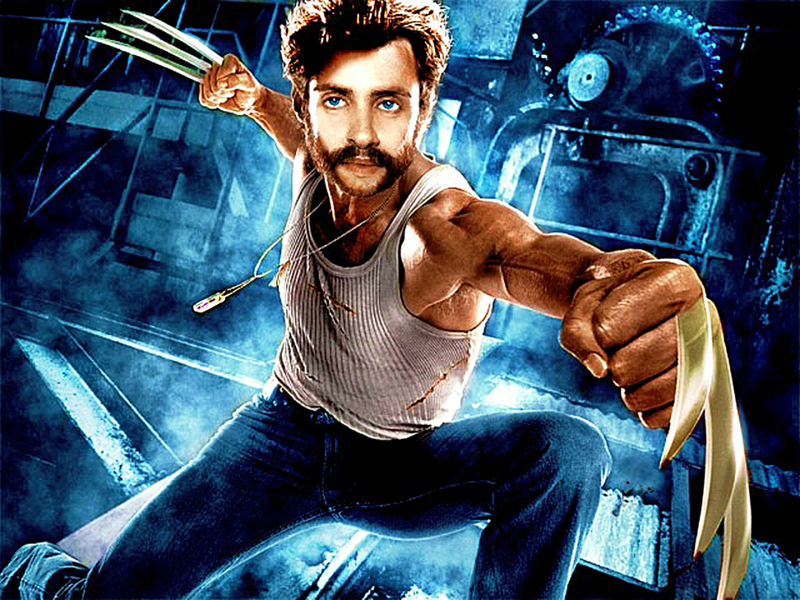 Move over, Jackman. Phil's in town ! Excellent work, says the bearded hippy from Elora-Toronto. @Rick: Thank you Rick, Happy Halloween ! Powerful image! I like the whiskered look here! I wouldn't want to meet his version of you in a dark alley. ;-) Quite excellent . . . and intimidating. A stunning portrait! I love it!